This morning I woke up at 6:30 determined to turn my life around. I went to the bathroom, looked in the mirror and was met with the reflection of a man who had been mailing it in for far too long. My one-pack lacked any semblance of “definition”, and when I flexed my pecs, they responded with a meek jiggle. This was not the body of a Division I athlete, or any athlete for that matter. I looked down at my legs that hadn’t seen a squat in over a year as a cold wave of realization washed over me--I was skinny fat. As my stomach grew and my muscles deteriorated, I realized that I need to make a change to my diet. I started cooking more, eating less, and cutting out bread. Apparently, bread is bad for you. Who knew. I went so far as to stop drinking for nine, count ‘em, NINE weeks. I decided that I don’t hate myself enough to cut out booze entirely, but I am fully committed to clean eating and clean living.  Today is my first day of work at Fair Harbor and I couldn’t be more excited for what this brand stands for: authenticity, transparency, fun, and grit. However, if I’m going to embody the ethos of this company, I need to live and breathe what we preach--a healthy lifestyle [I just ate a kale salad for lunch so we are off to a hot start]. Over the next month I will be blogging about diving into Fair Harbor and bettering myself. From lifestyle choices like cooking (I like the sound of Cooking Clean with Clark™), struggling through yoga classes with Caroline, beach runs with Jake, early morning surf sessions around New England, and evening paddles on the Long Island Sound, I invite you to embark on a journey of self-restoration with me. It will be painful, it will be humbling, and it most certainly won’t be pretty. BUT, the end result will be magical… or at the very least it won’t result in early-onset heart disease and type II diabetes.